Engage students while teaching how to write friendly letters! 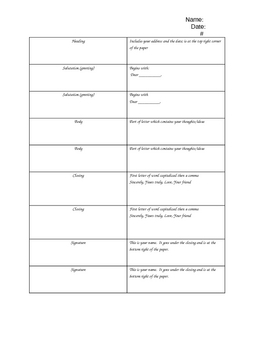 This printable includes quiz quiz trade, one of Kagan's cooperative learning structures, on the parts of a friendly letter. Additionally, assess students' knowledge of friendly letters with a student selected project. Children have 9 options to choose from (must pick 3). This will help keep their writing focused as it clearly states who to write to and what to write about.